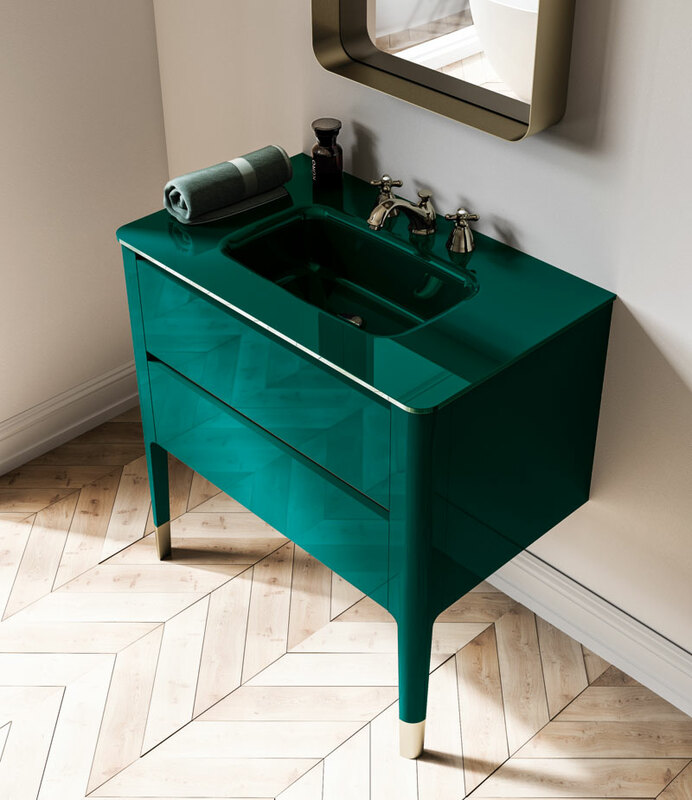 The leitmotif in this vertically oriented arrangement is the golden metal: a luxurious detail found on both the vanity and tall cabinet and repeated on the frame of the tall mirror, which has been designed exclusively for the Art catalogue. The tall wall unit with shelves provides plenty of handy storage. 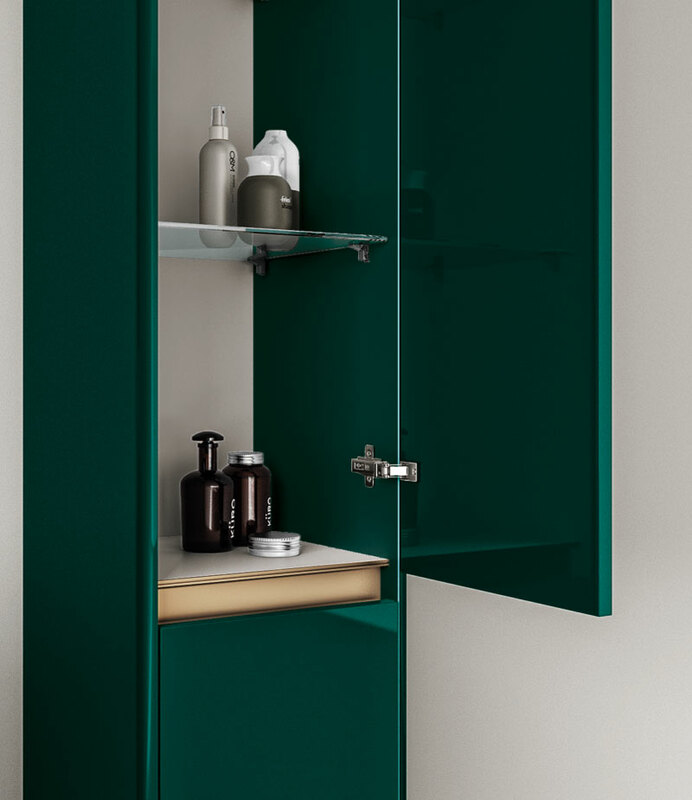 So, even though counter space on the vanity is limited, there’s still lots of room for storing all your bits and bobs. 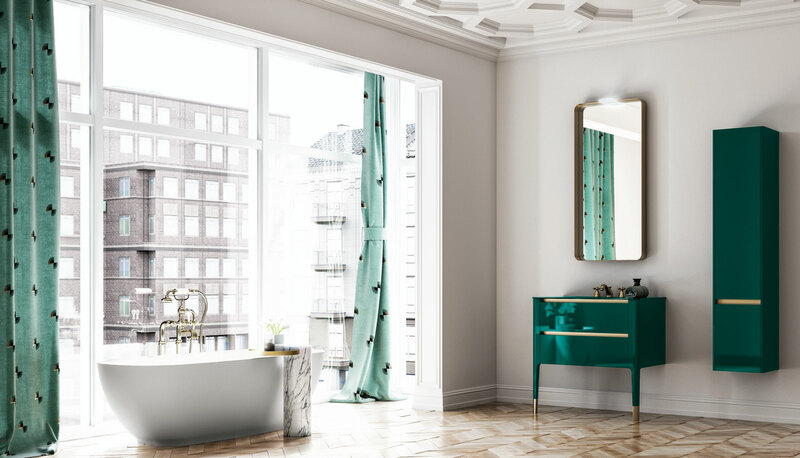 The vertical mirror, made specially for this furniture solution, features an aluminium frame in a bronze finish and built-in LED light.